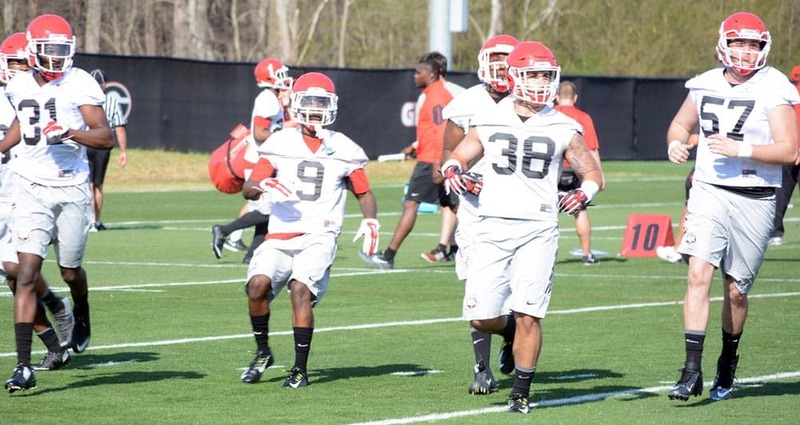 Georgia’s football team practiced for two hours at its new practice facility during the Bulldogs’ first session of the spring. The Bulldogs practiced on the 180,000-square foot practice facility on Milledge Avenue that features three 85-yard fields (two natural grass fields and one synthetic turf field). The team’s normal practice site outside the Butts Mehre Heritage Hall is under construction while the Indoor Athletic Facility (IAF) is developed. The Bulldogs will practice at their new site through the 2016 season. This marked the first of 15 spring practices for Georgia as well as the first practice for head coach Kirby Smart and most of his coaching staff. The Bulldogs return to practice on Thursday.